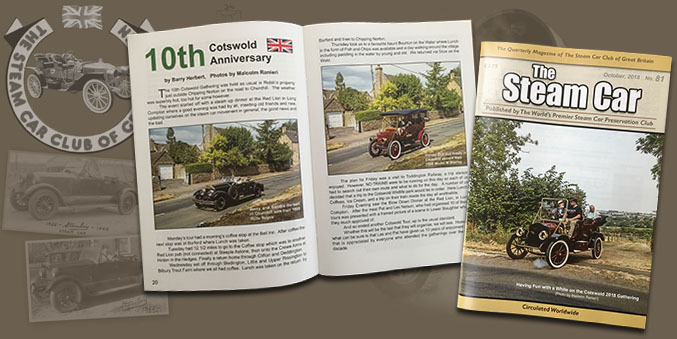 The Steam Car Club of Great Britain caters for owners of steam cars and steam cycles old and new. 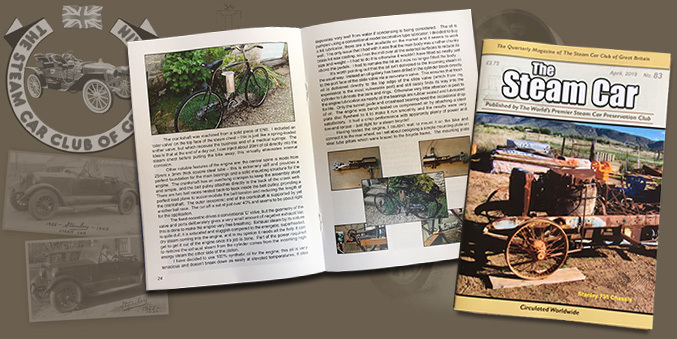 You do not have to own a steam car. 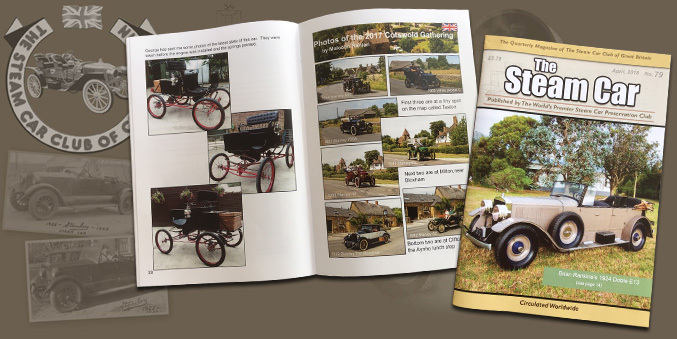 Perhaps you want one or are just interested in these vehicles or their further developments. 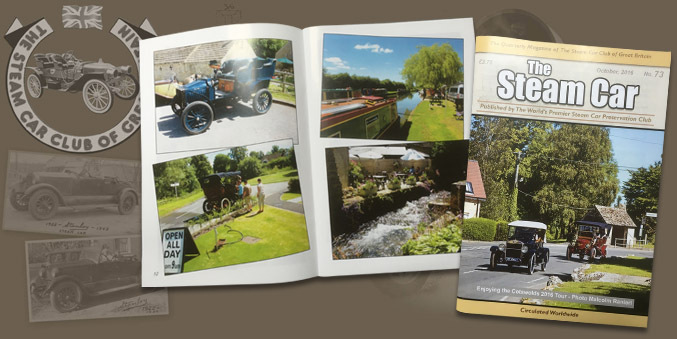 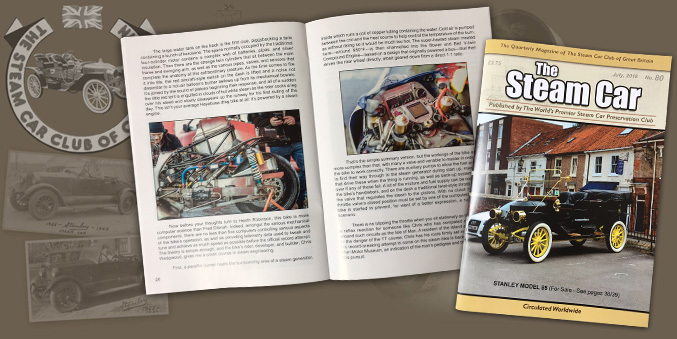 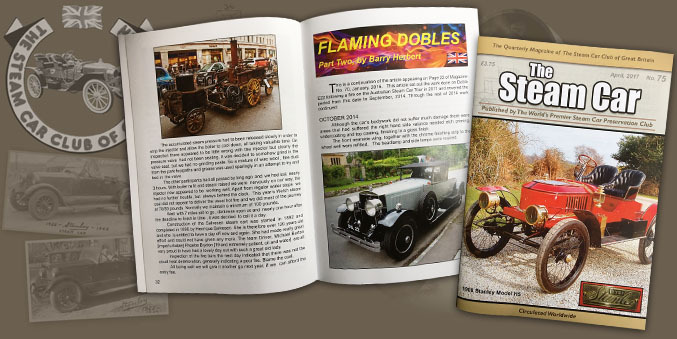 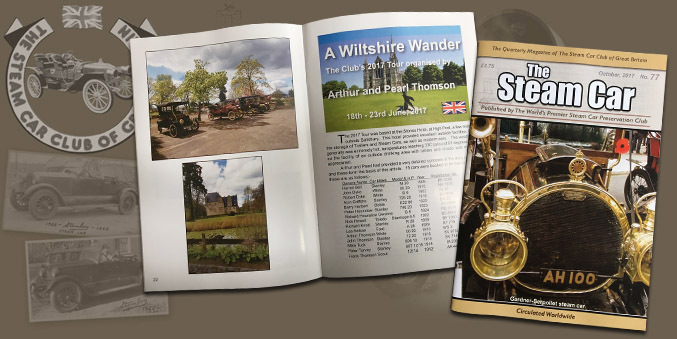 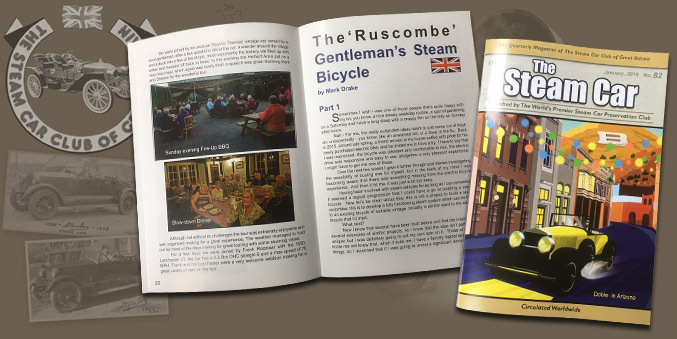 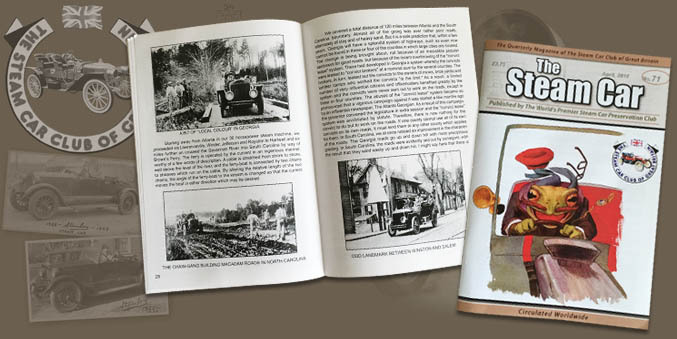 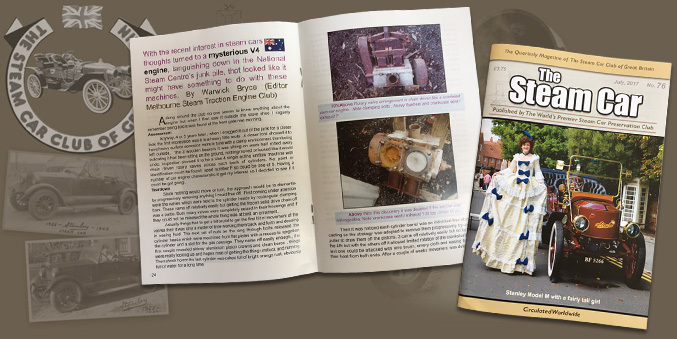 In October 1998 we launched the new magazine called "The Steam Car" a new magazine for the club members. 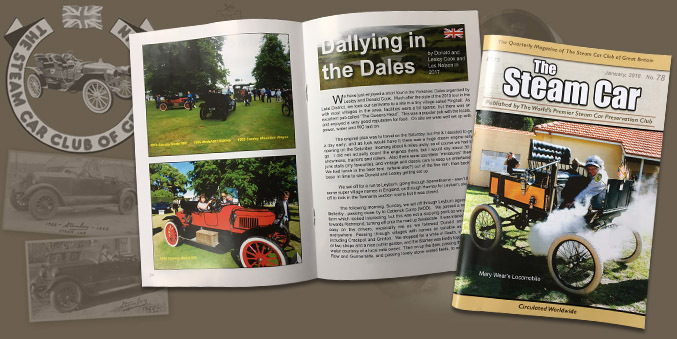 In each edition of the magazine there will be advertisements for cars and parts, a calendar of the activities of the club as well as technical articles and accounts of any touring done in those busy previous three months since the release of the last magazine. 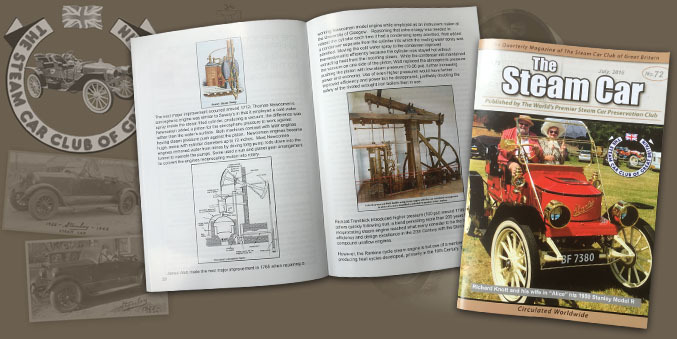 A summary of the contents for each magazine starting with the earliest can be seen below. 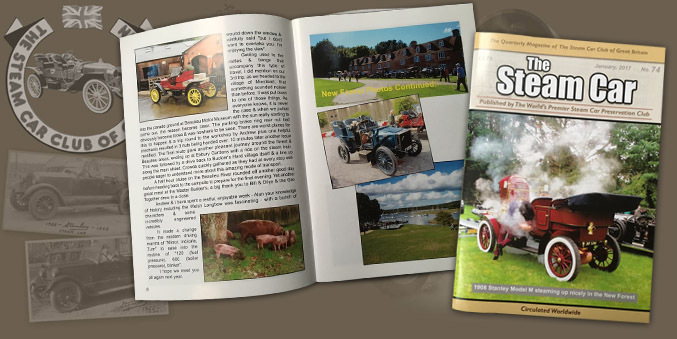 BACK ISSUES AVAILABLE £1.00 each plus P&P.